Craving a bit of beef jerky right about now? Or, perhaps you’ve always wanted to try it, but for some reason just haven’t yet? Good news! 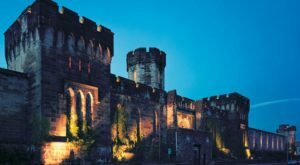 If you’re in the mood for beef jerky – whether you’ve been a fan for years or you’re a newbie – all you have to do is set your GPS for this beef jerky outlet in Pennsylvania that features a huge selection of beef jerky as well as plenty of other delicious goodies. 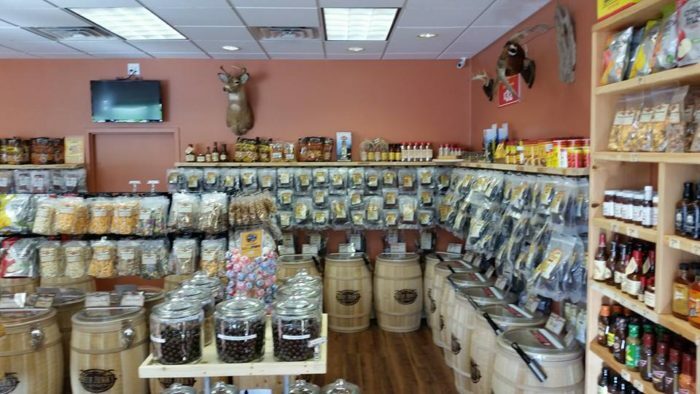 Stock up on your favorite beef jerky - from more than 200 varieties - at this Beef Jerky Outlet in York. 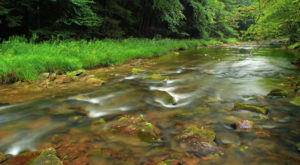 First, you'll have to decide what type of jerky will best satisfy your taste buds. 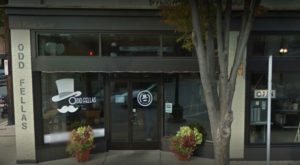 Choose from such classics as original, prime beef, or garlic traditional. 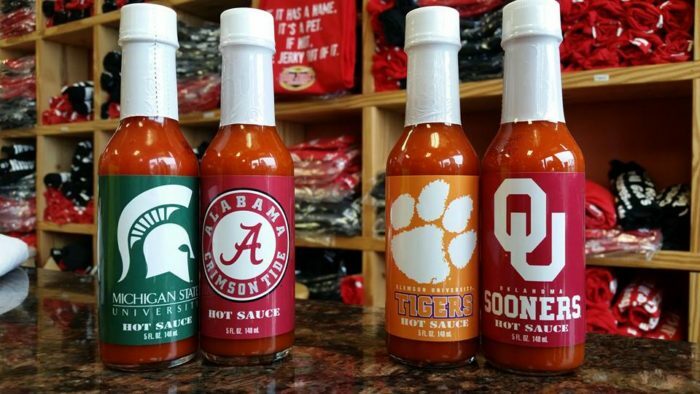 Or, perhaps you prefer something that will set your taste buds on fire? Try the blazed smoked, the reaper smoked, or the fire on the mountain beef jerky. 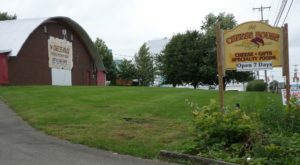 Don't forget to check out the wild game, pepper & spice, backyard BBQ, and sweet & savory beef jerky selections, too. 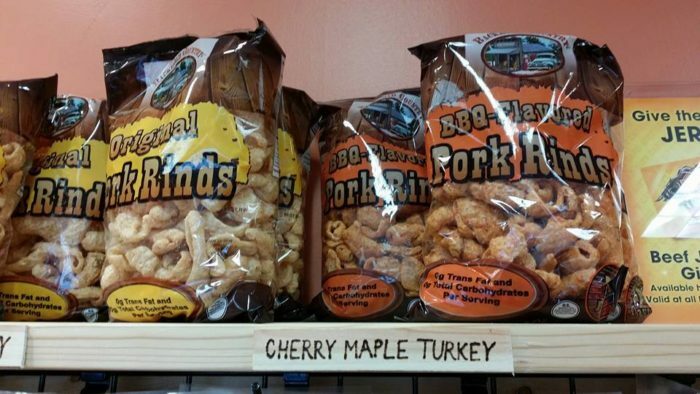 Of course, beef jerky wins top billing at this outlet store, but you still have plenty of other goodies to discover. 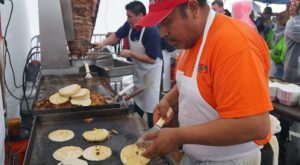 How about some wild game snacks? 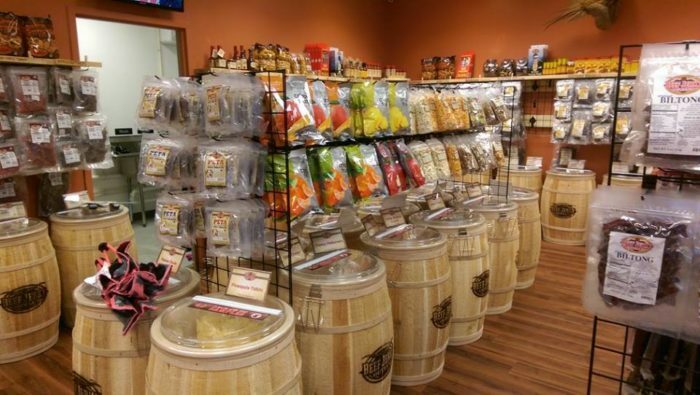 Beef Jerky Outlet York sells flats and sticks in a variety of flavors. 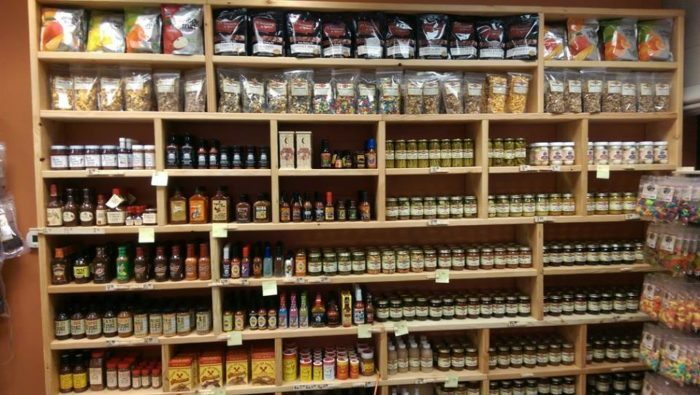 And, you'll find plenty of hot sauces, marinades, and rubs. 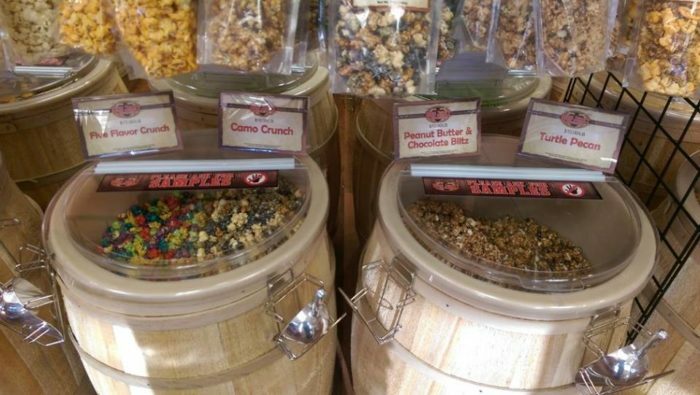 The outlet also sells a delicious array of pork rinds, gourmet popcorn, and flavored peanuts. 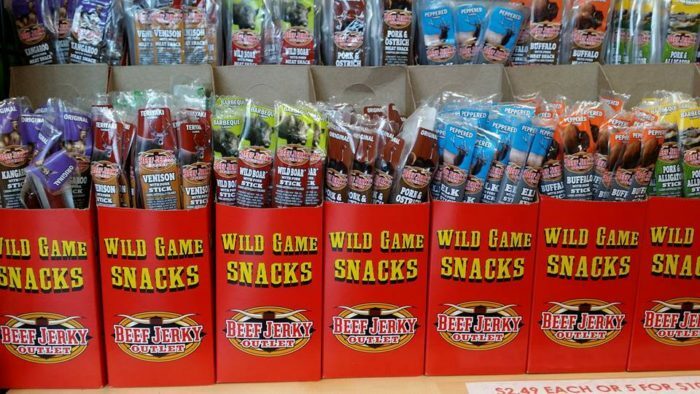 Stock up on all your favorite flavors of beef jerky at Beef Jerky Outlet York, open Monday through Thursday from 10 a.m. to 8 p.m., Friday and Saturday from 9:30 a.m. to 9:30 p.m., and Sunday from 11 a.m. to 5 p.m. 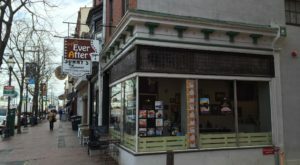 Beef Jerky Outlet is located at 351 Loucks Rd., York, PA 17404. 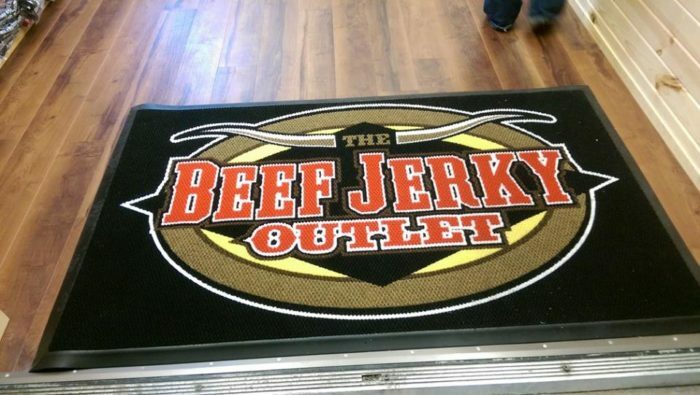 Click here for the official website of Beef Jerky Outlet York. Or, go here for Facebook. 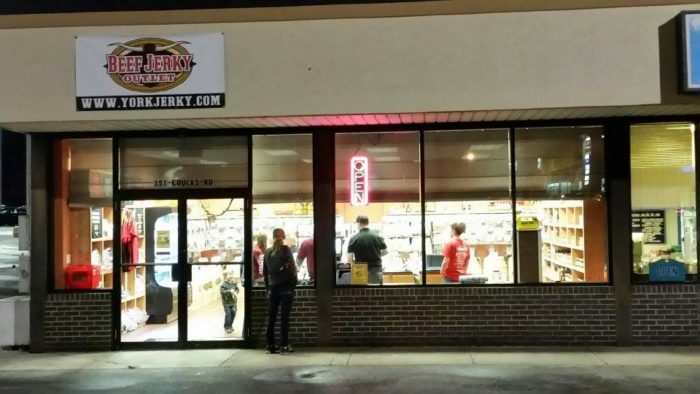 Have you ever been to this beef jerky outlet in Pennsylvania? Share your experience in the comments! 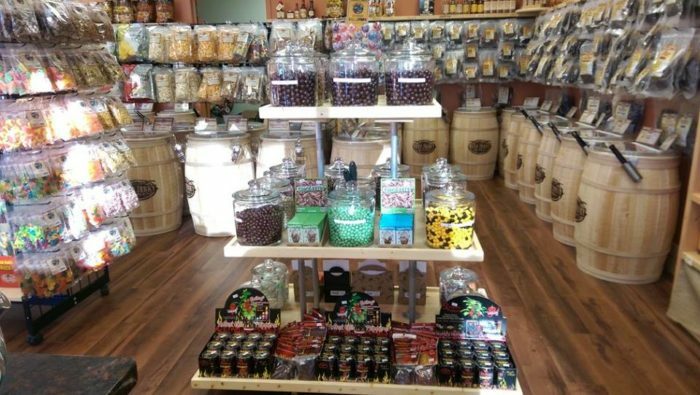 Or, perhaps you prefer to stock up on candy instead of beef jerky? 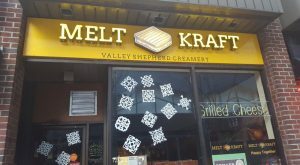 Click here to read about a gigantic candy shop that’s been a Pennsylvania favorite for 75 years.